Everybody and their dog has a social media page these days, and that means that your business needs to be out there – to build awareness, increase customer trust and open communication lines. It can take up a lot of time when you’re doing it properly – let us take the headache out of your social media strategy. We can plan out an entire year for you, produce your content, post daily, and interact with your customers. We’ll help as much or as little as you want. …and more. We’ve got experience & expertise in all of these platforms and we know which will bring the most value to your business. If you’re looking to launch a new product or service, or just looking to boost awareness of your brand, we can come up with an easily measurable plan to get the most for your business. As part of our services we can offer a complete content creation package, taking the stress of producing good content off your shoulders. We can also set up and manage social media advertising for you, so you can target your audience down to their likes and dislikes. If you enjoy getting down to the nitty-gritty on social media, but could do with a push in the rush direction, we can help. We can do a full competitor analysis, identify the gaps in your social media strategy and give you some ideas of where to take your social channels next. Want to learn more about social media for business, but not sure of the best way to start it off? We offer social media training workshops as part of our training programme, suitable for either individuals or teams. We can cover a broad agenda or focus on one area that’d you’d like to polish up on. 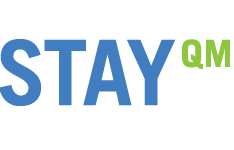 StayQM are the commercial group at St Marys University, London who are responsible for letting out student accommodation in the Summer months for commercial revenue. We helped them to reach an all-time high booking rate and increase return customer rates. Engaging, interesting content has become vital to any company that wants an online presence. we can take the headache out of your content strategy. The male howler monkey has the loudest call of any other primate and is one of the loudest animals in the world. Interestingly, the louder the howler monkey, the smaller its testicles and the lower its sperm count.